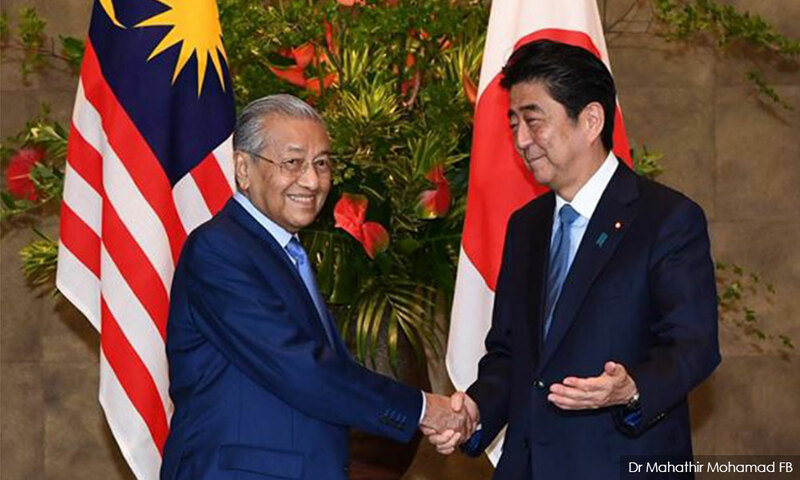 Three visits by Prime Minister Dr Mahathir Mohamad to Japan in just five months have placed Malaysia-Japan ties at their strongest footing ever, much to the delight of the peoples of both countries. Mahathir made his first official trip overseas in June soon after becoming prime minister for the second time and Japan naturally was his first-choice destination. During the 22 years of his stint as prime minister the first time around from 1981, he visited Japan tirelessly more than 100 times mainly to promote his 'Look East' policy. This brainchild of Mahathir is one of the most successful foreign policy initiatives Malaysia has undertaken and led to Japan, already the biggest and earliest foreign investor in the country, beefing up further its economic roles and assistance in Malaysia. Out of the Look East policy, what Mahathir wants most is for Malaysians to learn and adopt Japanese work ethics and value system that propelled Japan from a nation without natural resources to a world's top economic power. Malaysia has sent over 16,000 students and trainees to Japan over the years since the policy was introduced and these Japan-trained Malaysians are making a difference in their workplaces. However, it was Mahathir's just-concluded visit to Japan that has attracted the most interest and attention and undoubtedly it was the most fruitful one, too. Japan could not help observing that the previous Malaysian government under Najib Abdul Razak had sidelined the Look East policy while Najib himself had hardly visited Japan in his nine years as prime minister but instead was more inclined towards China. "The previous Malaysian administration was leaning towards China before Mahathir took over in May, but he readjusted diplomatic policies and has promoted much closer diplomatic cooperation with Japan," according to a Japanese Foreign Ministry official. The prime minister's frequent trips to his favourite foreign destination is the clearest signal that the Look East policy is well and alive once again. After the new Pakatan Harapan government came to power in May, it postponed a high-speed railway project to link Malaysia and Singapore that China was also eyeing to build, due to mounting government debts and the high costs of the project. While visiting Beijing in August, Mahathir warned against a "new version of colonialism" obviously referring to China's One Belt, One Road initiative to build infrastructure in various countries, including in Asia. And this time under the rejuvenated Look East policy, the prime minister said Malaysia would be looking at the entire Japanese system of education, right from the kindergarten stage to the higher education in universities. 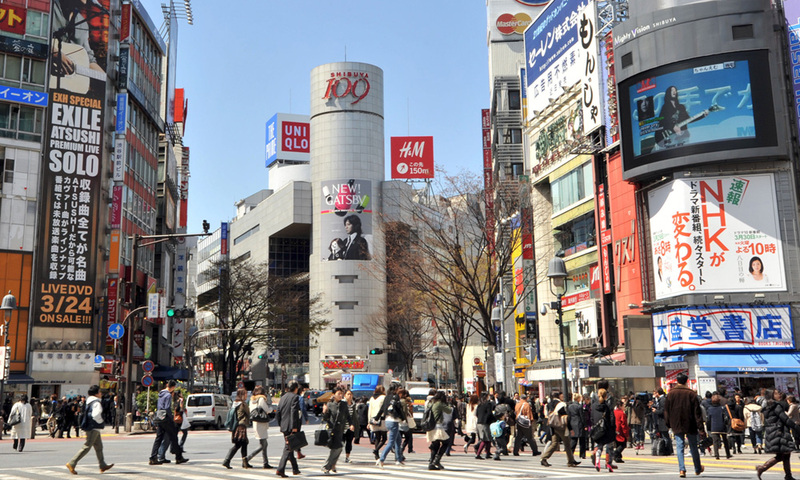 Things are moving very fast in this direction and already three Japanese higher learning institutions have revealed plans to establish branches in Malaysia. Tsukuba University, one of Japan's oldest and a leading research university, is expected to start up in 2020 while Nippon Designers School as early as next year. Another that has shown interest to make its presence here is Ritsumeikan Asia Pacific University. Following his latest visit, Japan has also agreed to help Malaysia out in tackling its huge foreign debts accumulated by the previous government worth an unprecedented well over RM1 trillion. The Japanese government has offered to guarantee Y200 billion (RM7.4 billion) in Samurai bonds with a 10-year tenure. The yen-denominated bonds, to be guaranteed by the Japan Bank of International Cooperation at an indicative coupon rate of 0.65 percent, are expected to be issued before March. Malaysia had first asked for yen loans during Mahathir's first meeting with his Japanese counterpart Shinzo Abe in June. The cheap bonds would indeed come in handy for Malaysia to retire some of the costly loans committed by the previous government. Abe has also indicated the possibility of more such bonds in the future to ease Malaysia's financial woes. "I told Mahathir that Japan will study with Malaysia, the possibility of extending yen loans with a primary focus on transportation, education and human resource development. I hope this study will lead to concrete cooperation in future," he told a joint press conference with Mahathir in Tokyo. A team of experts from Japan's railway companies would be sent to Malaysia later this month as part of a study towards this objective. 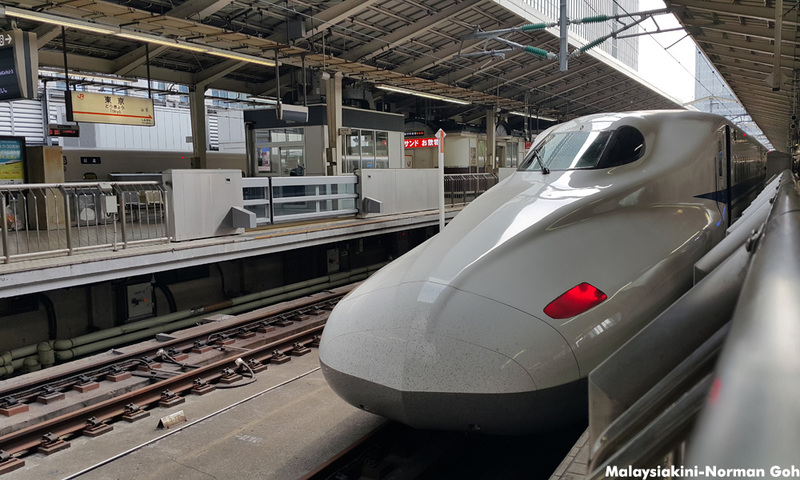 Analysts said once the two-year postponement on the Malaysia-Singapore high-speed railway project is lifted, Japan, which invented the Shinkansen bullet train system, is expected to be in a stronger position to bid for the project touted as Southeast Asia's largest infrastructure project. However, what made Mahathir's latest visit to Japan all the more significant and memorable is the award of the 'Grand Cordon of the Order of the Paulowania Flowers' on him by Emperor Akihito. It's the highest award conferred on foreign statesmen for their contributions towards the bilateral relations between their countries with Japan as well as their contributions to the region. In this regard, no other leader in history could perhaps match Mahathir's initiatives and actions. To the Japanese at large, he is also the one foreign leader closest to their hearts and this could only augur well for what lies ahead for both nations and peoples.